1. Sugars like fructose, glucose, sucrose, maltose, lactose, and other disaccharides and trisaccharides. Eight types of honey are described in Ayurveda depending on the type of bee which collects it. They are Pouttika, Bhramara. Kshoudra, Makshika, Chatra, Arghya, Oudalaka, Dala. Pouttika - This honey is collected by very large bees from the nectar of poisonous flowers. It increases vata, causes gout and burning sensation in the chest. It is also sedative and reduces fat. Kshoudra - (Honey collected by medium-sized honey bees ) light and cold in nature. Dissolves Kapha. Arghya - Good for eyes but causes arthritis. Oudalaka - Useful in skin diseases, and helps in the modulation of voice. 1. As it contains sugars which are quickly absorbed by our digestive system and converted into energy, this can be used as an instant energizer. 2. As it is hygroscopic it speeds up healing, a growth of healing tissue and dries it up. 3. Honey acts as a sedative and is very useful in bed wetting disorders. 4. Honey is a very good antioxidant which restores the damaged skin and gives soft, young looks. 5. Honey has antibacterial properties due to its acidic nature and enzymatically produced hydrogen peroxide. 6. Constant use of honey strengthens the white blood corpuscles to fight bacteria and viral diseases. • Honey is very good for eyes and eyesight. • Reduces effects of a poison. • It is very useful in urinary tract disorders, worm infestations, bronchial asthma, cough, diarrhea, and nausea -vomiting. • Helps in quick healing of deep wounds. • Initiates growth of healthy granulation tissue. • Honey which is newly collected from beehive increases body weight and is a mild laxative. • Honey which is stored and is old helps in the metabolism of fat and scrapes Kapha. Ayurveda explains another special quality of honey. Honey is called as “Yogavahi”. The substance which has a quality of penetrating the deepest tissue is called as Yogavahi. When honey is used with other herbal preparations it enhances the medicinal qualities of those preparations and also helps them to reach the deeper tissues. • Honey should not be mixed with hot foods. • Honey should not be heated. • Honey should not be consumed when you are working in a hot environment where you are exposed to more heat. • Honey should never be mixed with rainwater, hot and spicy foods, and Fermented beverages like whiskey, rum, brandy etc, Ghee and mustard. 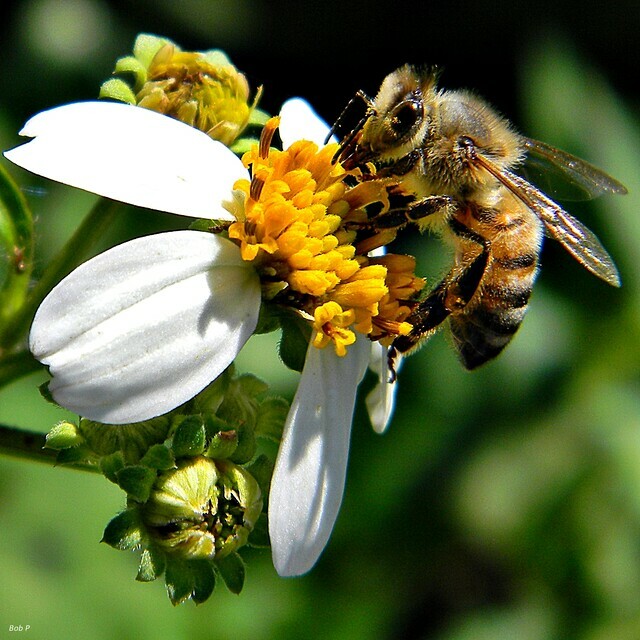 • Honey includes nectar of various flowers of which some may be poisonous. Poison has hot or Ushna qualities. When honey is mixed with hot and spicy foods the poisonous properties get enhanced and cause an imbalance of doshas. • Mix 2 teaspoon of honey with carrot juice and consume regularly. This helps to improve eyesight and is very helpful for those who sit before computer for long hours. • In cold, cough and congested chest mix 2 teaspoons of honey with equal quantity of ginger juice and should be consumed frequently. • A mixture of black pepper powder, honey and ginger juice in equal quantities, when consumed thrice daily help to relieve the symptoms of asthma. • Regular use of one teaspoon of garlic juice mixed with two teaspoons of honey help to control blood pressure. • One glass of warm water taken with two teaspoons of honey and 1 teaspoon of lemon juice in the early morning reduces fat and purifies the blood. Consuming one spoon of honey daily help us to lead a healthy long life.